Chimay Gold Light Beer (Chimay Dorée) was originally made solely for the monastic community within Belgium’s Notre-Dame de Scourmont Abbey. 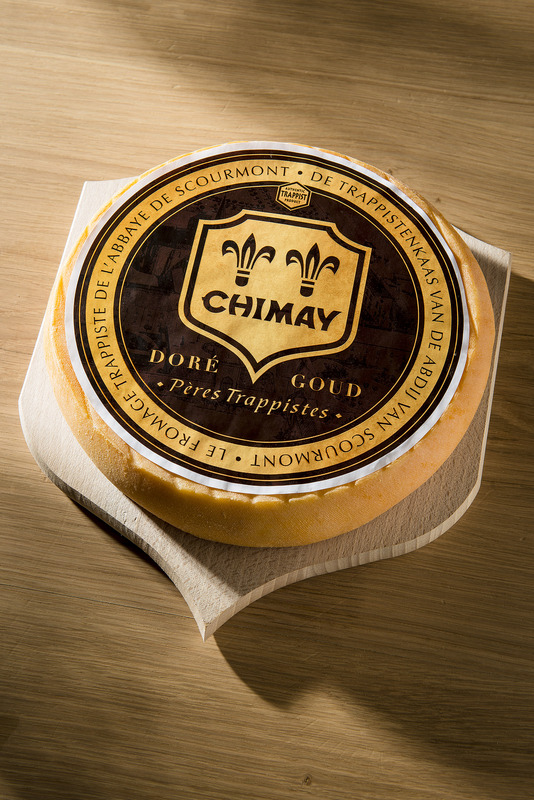 In 2013, Chimay Dorée Beer was not only offered to public consumers for the first time, but a new cheese called Chimay Doré Gold was developed around its golden taste and enticingly spicy-hoppy aroma. Slightly tangy with a fresh, cow’s milk creamy semi-softness and a beautiful gilded rind, Chimay Doré Gold has all the richly complex hallmarks of an authentic Chimay Trappist cheese, while the taste balances flawlessly with its beer namesake, a lower alcohol percentage, yet highly fermented golden beer. After being aged for four weeks, Chimay Doré Gold is elegantly packaged to highlight its unique, traditional origins and to gracefully underscore its golden attributes. Application: A distinctive addition to any cheeseboard, Chimay Doré Gold also makes a fragrant and delicious statement in grilled ham and cheese sandwiches or in sides like mashed potatoes. It is well matched with fresh fruit, especially pear. Pairing: Chimay Doré pairs perfectly with any Belgian Trappist beer but the most obvious choice is also the best choice. Only the finest all-natural ingredients from the Yarra Valley go into VPC Gluten Free Crackerthins, including the perfect amount of pure Parmesan cheese that adds a wonderful buttery flavor. The crackers are always crafted in small batches to ensure flavor, texture consistency and nutritional quality. 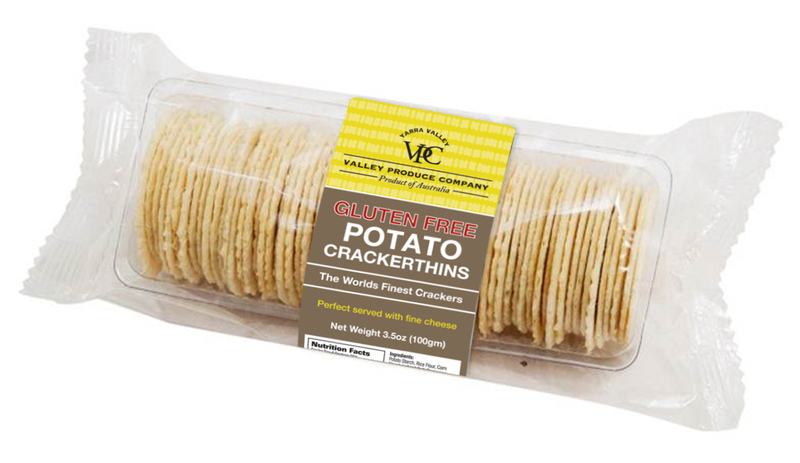 VPC Gluten Free Crackerthins require no refrigeration.